The Nintendo 64 marked Nintendo’s official entry in the fifth generation of consoles. The success of one of its launch titles, Super Mario 64, helped jumpstart the medium’s 3D revolution. Though countless developers from id Software to PF Magic had dabbled in 3D for quite some time, Super Mario 64 ended up being ground zero for the leap. What made it such a remarkable effort was that there were no signs of growing pains. The camera could be controlled by the player, yet was incapable of phasing through walls due to being operated by a real character. Mario’s shadow could always be seen underneath him because it helped players gauge where he was on a platform. Levels were made far less linear because players would be naturally inclined to explore the space in which they found themselves. Though these design choices sound prototypical when summed up on paper, future development teams attempting to create three-dimensional experiences would take cues from Super Mario 64 and many of Nintendo’s other pioneering 3D efforts such as The Legend of Zelda: Ocarina of Time in the coming decades. Despite the acclaim these games received, Nintendo’s success did come at something of a price. Thanks to a combination of Nintendo sticking with ROM cartridges in lieu of adopting the increasingly popular optical disc format and third-party developers having to adhere to their strict policies, they soon found themselves face-to-face against Sony and their PlayStation console. The juggernaut electronics company had entered the console race as a result of the failed partnership between themselves and Nintendo to create a CD-based peripheral to compete with the Sega CD. Because many prominent developers such as Capcom, Konami, and Square began making games exclusively for the PlayStation, Nintendo began rapidly losing their dominance. Even the overwhelming critical success of games such as Super Mario 64 and Ocarina of Time did little to make up for their loss in market share. At that point, they needed to innovate quickly in order to remain in in the business. The year 1997 marked the launch of a graphic hardware design company named ArtX. It was staffed by twenty engineers who previously worked at Silicon Graphics, Inc. (SGI) – the company that helped develop the Nintendo 64’s hardware. They were led by Dr. Wei Yen, who had been SGI’s head of Nintendo Operations and outlined the console’s architectural design. ArtX partnered with Nintendo in 1998 in order to craft Nintendo’s entry in the rapidly approaching sixth console generation. Initially codenamed “Flipper”, the project was first announced to the public at a press conference in May of 1999 as “Project Dolphin”. Shortly after this announcement, the company began providing development kits to second-party companies such as Rare and the newly formed Retro Studios. ArtX was then acquired by ATI in 2000, though the Flipper graphics processor design had been mostly completed. A spokesperson claimed ATI was to become a major supplier to the game console market and that the Dolphin platform would be the “king of the hill in terms of graphics and video performance with 128-bit architecture”. The console was formally announced as the Nintendo GameCube at a Japanese press conference in August of 2000. It was at the Electronic Entertainment Expo of 2001 that the GameCube’s fifteen launch titles were unveiled. Curiously, there appeared not to be a single Mario game in the lineup. However, a closer examination revealed that a game set in the Mario universe would be among the launch titles, but with his brother Luigi in the lead role. During the Nintendo Space World exposition of 2000, many technological demonstrations were designed to showcase the GameCube’s capabilities. These took the form of full motion video clips – one of which depicted Luigi running from ghosts. 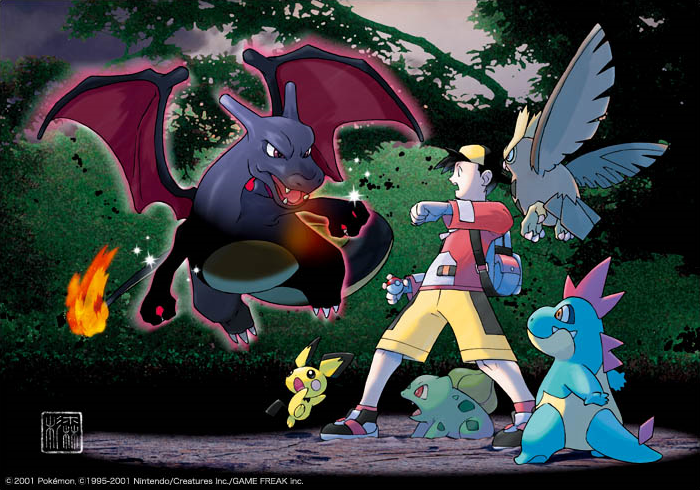 After creating the footage, Nintendo decided to turn the demo into a fully realized game. It was shown again at the 2001 Electronic Entertainment Expo alongside the other launch titles and the console itself. 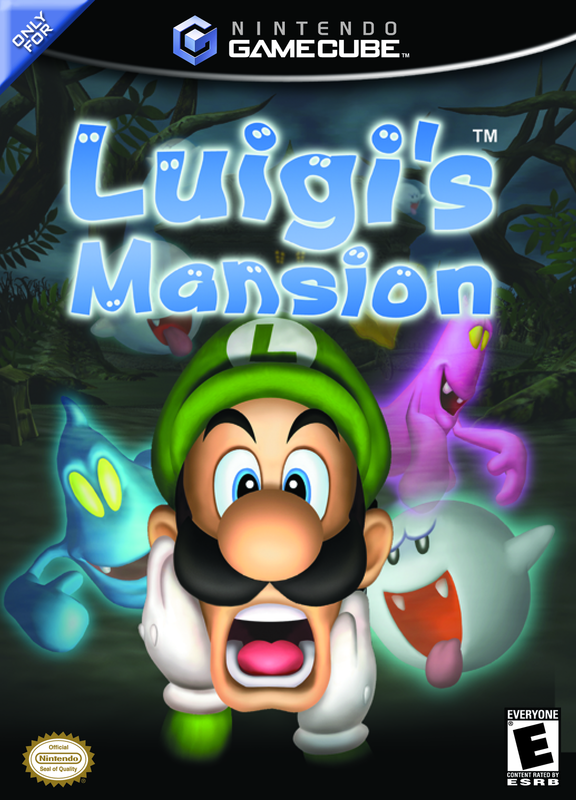 This game, Luigi’s Mansion, was to offer an experience the likes of which had never been seen in a Mario title. Though the idea for the game had been conceived as early as 2000, once it became a GameCube project, Luigi was chosen as the protagonist to keep the experience new and original. The GameCube launched domestically on September 14, 2001 and in North America the following November before receiving European and Australian releases in May of 2002. From a commercial standpoint, Luigi’s Mansion was the most successful GameCube launch title, being the single best-selling game in November of 2001. Nintendo attributed Luigi’s Mansion as the driving force behind the GameCube’s launch sales, for it sold more copies in its opening week than even Super Mario 64 in its own. Critically, Luigi’s Mansion was mostly positive, with critics especially taken aback by its stellar presentation. Despite this, the reception wasn’t quite as warm as that of Super Mario 64. Was Luigi’s first true adventure precisely what the GameCube needed for a successful launch?